From an urban retreat to a rustic farmhouse, certified vinyl siding offers a versatile selection of architecturally inspired choices to make any design dream come to life. Choose from a virtually endless array of colors and textures to pursue any architectural style or design goal. 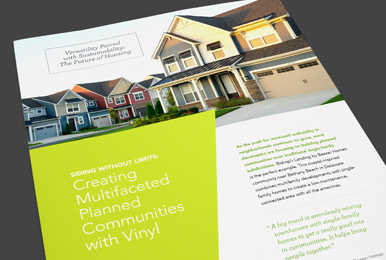 Discover the limitless options vinyl siding offers in our Interactive Designing Style Guide. Real-world applications to inspire home siding ideas that work in any neighborhood.